A baby is one of life's most precious gifts, and as a parent your child's safety is your top priority. 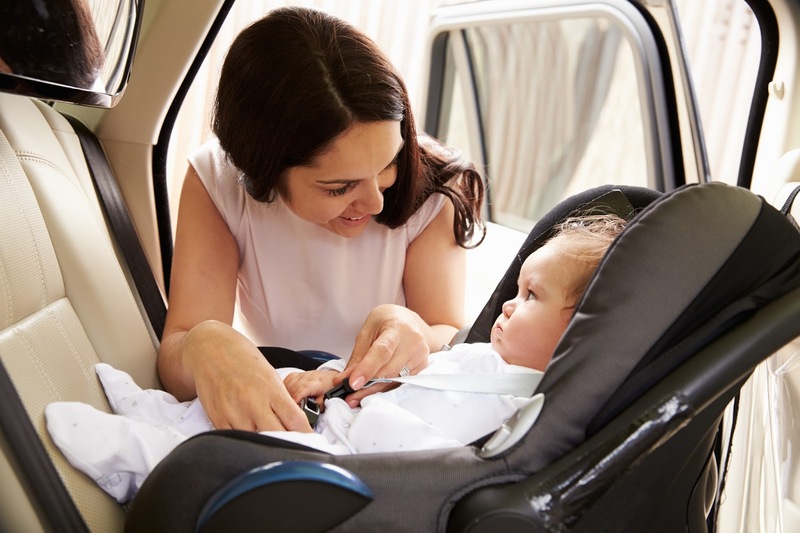 In honor of Baby Safety Month, our Springfield Toyota dealership and service center is sharing important tips for keeping your baby safe and comfortable in the car. Using a cell phone while driving is very unsafe and even illegal in most states. The National Safety Council estimates cell phone use while driving causes 1.6 million accidents a year. Texting and driving is the cause of 1 in 4 car crashes. To avoid the temptation to use your cell phone while driving, always leave it in your bag or safely stowed out of reach. If you must use your phone, pull over at the next parking area or gas station. The "No Cell Phones While Driving" rule should be practiced whenever you're behind the wheel, even if your baby's not on board. There are many different car seats to choose from, and you need to select the one that properly fits your car, has a good safety rating, and is right for your child's age and size. Children must be restrained in a rear-facing car seat until age two or until they exceed the height and weight limit, which should be displayed on the car seat. Remember, car seats should always be placed in the back seat. Never leave the baby on your lap or in the front seat while driving. To ensure your car seat fits your vehicle and is installed properly, contact your local public safety department for a free car seat check. For more advice on choosing the correct car seat, visit SafeKids.org. Once you've founded the right car seat for your baby, you need to register it with the manufacturer. Registering your car seat will ensure you are immediately notified if a defect has been identified and whether repairs or replacement are needed. Providing your baby with toys during the ride is key to keeping him occupied and entertained. But, toys won't do any good if they're on the floor and out of your baby's reach. Not to mention, loose items can be a distraction for the driver and potentially cause harm to you or the baby in the event of an accident. Be sure to only provide safe, soft toys and tether them— along with your baby's pacifier— to the car seat to keep them within his reach. A rear-facing car seat in the backseat is the safest place for your baby in the car. But, a rear-facing seat can make it difficult to keep tabs on your baby while driving. A backseat mirror gives you peace of mind by allowing you to safely glance at your baby to ensure he's comfortable and safe. Do not nurse or feed your baby in a moving car; always pull over at the nearest rest area, gas station, or parking lot. Feeding while driving impedes the safety of you and your baby, as well as others on the road. Fumbling for a dropped bottle poses a distraction for the driver, and if you baby chokes you will not be able to react quickly or safely. Always pull over to allow your baby to eat and drink safely and comfortably. For new parents, driving with your baby can be a little overwhelming. Keep these tips in mind to keep your baby safe when you're behind the wheel.